Power and Agility. Coach technique and staying mentally focused when fatigued. Each station is 6 minutes without a break between. Each pair goes for 90 seconds. 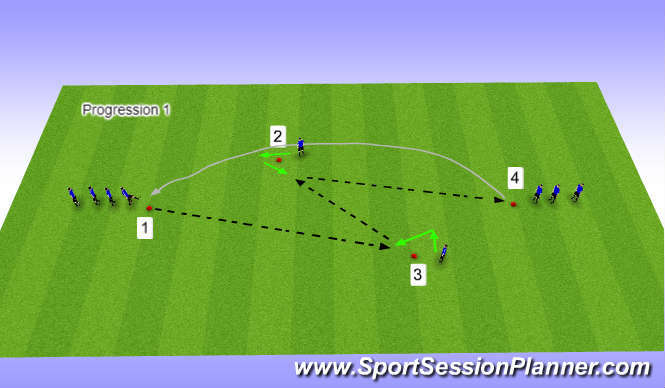 Players move from 1-2-3-4-1. Focus on technique as well as the timing of the runs. 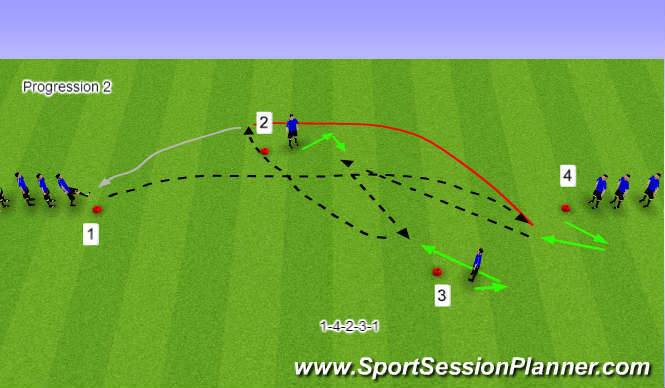 Quick passes and movement off the ball. 1v1 in each box with 2 supporting players. 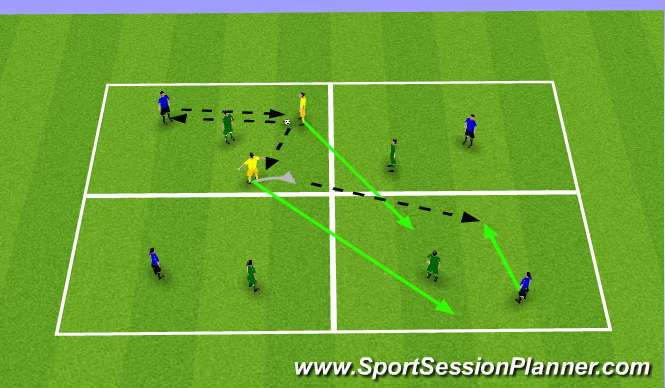 Try to make 3-5 quick passes in a square and switch the ball to another square. Supporting players assist team with the ball. 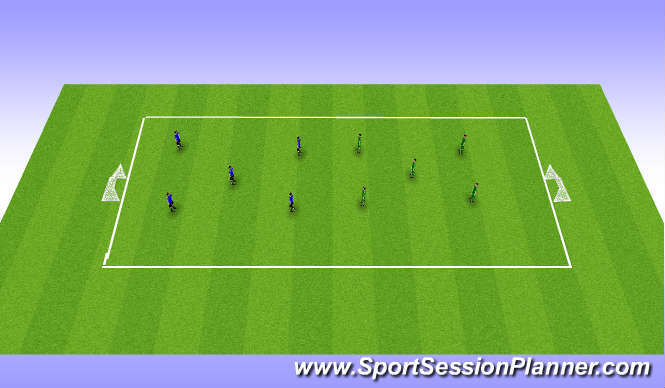 If defender wins the ball, try to use supporting players to keep it and move squares. 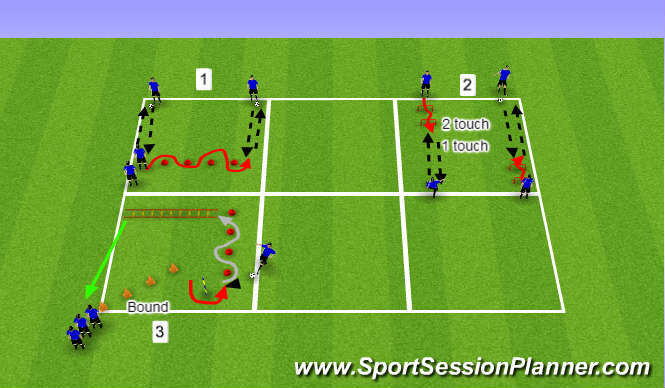 Play 5v5, 3 touch. Encourage players to keep the ball until they can penetrate behind with numbers up. Ball circulation should be quick and movement off the ball should be continuous.